TimkenSteel | Straughter Family Build Volunteer Campaign for Habitat for Humanity East Central Ohio - Giveffect, Inc.
Volunteer with Habitat and offer the Straughter family safety, stability, and self-reliance. Welcome, TimkenSteel! Thank you for volunteering for this build. Your efforts will help this family with their dream of owning a safe, decent, and affordable home. We look forward to having you out on the work site and we promise your volunteer experience will be fun! Get to know the family by reading their bio below. After years of living in public housing, private rentals, or with friends and family, Shonna Straughter is ready to invest in a home that she owns to provide stability for her family for years to come. At the time of application, Shonna and her two daughters, Karreona and Adriona, were living in a private rental in Canton. The home was difficult to heat, had faulty plumbing, and was plagued with black mold. Of particular concern to Shonna was the high drug and crime rate in the neighborhood. In fact, her home has been broken into several times. In addition to the windows being boarded up to prevent further break-ins, the landlord greatly increased Shonna’s rent to cover repair costs for the damage done when the home was robbed. Eventually, the high rent and unsatisfactory living conditions led Shonna to apply for the Habitat homeownership program and pursue her dream of owning her own home. 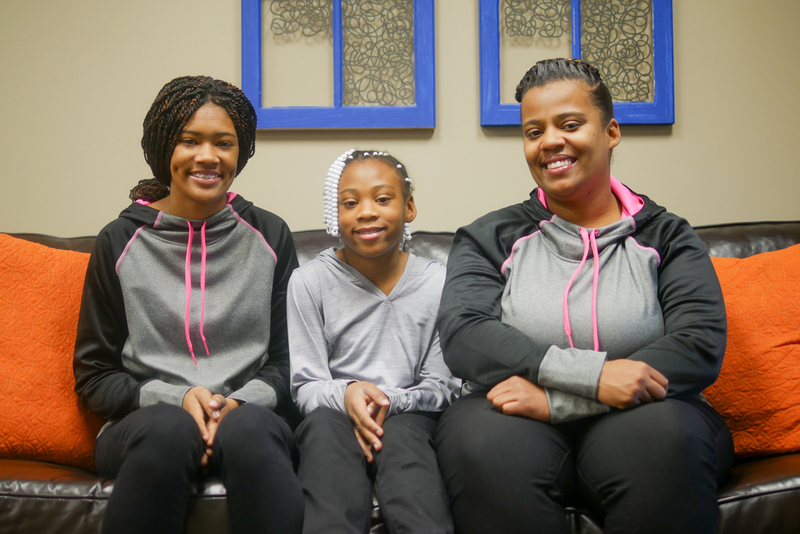 Shonna is an excellent role model for her daughters and is especially excited to set an example of hard work by providing them with a permanent place to live. Sixteen-year-old Karreona stays busy as a junior in high school and an employee at McDonalds. Adriona is an active nine-year-old who participates in softball, basketball, track, and gymnastics. Thank you for volunteering with Habitat for Humanity, believing in our mission, and supporting one important vision - to end poverty housing in your community. Here are some really important next steps and things to know about your upcoming volunteer day. 12:00 p.m. | Lunch break. NOTE: TimkenSteel will provide lunch. No Smoking | There is NO SMOKING on any Habitat volunteer site. If you must take a smoking break, please step away from the site.